Bonin Bough has left his position as chief media and ecommerce officer with Mondelez International to host a TV show on US network CNBC. The 'unscripted' television show called Cleveland Hustles premieres next week. Backed by LeBron James and Maverick Carter, the show will "give four aspiring local entrepreneurs the chance to realise their dreams while also helping to revitalise a neighborhood in Cleveland". Karmarama has promoted creative director Dickie Connell to deputy executive creative director, working alongside executive creative director Adam Kean and reporting into chief creative officer Nik Studzinski. Connell joined five years ago from VCCP and at Karmarama has been responsible for Plusnet’s "We’ll do you proud" advertising and Pilgrim’s Choice’s "Choose a choon" campaign. The agency has also hired Imogen Jones and James Rooke – a creative team from McCann that made Joey Essex the face of Batchelors Cup A Soup – as well as Meigan Brown and Tobias Owen, who worked on Blinkbox and Team Sky at previous agency Antidote. Olivier Gers, the global president of Starcom's content unit Liquid Thread, is the new chief executive of the International Association of Athletics Federations. Gers replaced Jean Gracia, who was in charge of the IAAF on an interim basis. Hertz, the global rental car service, has appointed Vincent Gillet as vice president, marketing international. Gillet is now responsible for leading marketing strategy and plans for the Hertz, Dollar, Thrify and Firefly brands across Europe, the Middle East, Africa, Asia-Pacific and Latin America. He reports to Matt Jauchius, the chief marketing officer, and Jim Mueller, the senior vice president of sales, marketing and revenue management. Most recently Gillet was the global vice president of brand at Infinity, the Nissan Motors brand, and was formerly the senior vice president and global brand leader for W and Le Meridien hotels - part of the Starwood Group. OMD UK has promoted its joint managing partners of strategy, Hamid Habib and Rian Shah, to chief innovation officer and chief strategy officer respectively. 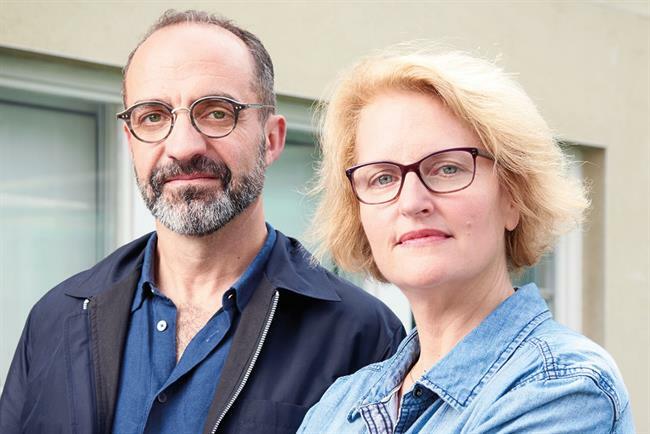 Habib and Shah, who both joined the Omnicom media agency in 2013, will report to Dan Clays, OMD UK’s chief executive, in the newly-created roles. The duo previously worked together at Zenith, where Habib was the head of strategy for eight years before joining Havas Media in 2012, when Shah replaced him. Lida has strengthened its creative department by appointing Tori Winn as executive creative director. She reports to chief creative officer Trefor Thomas, who joined in March after the departure of former executive creative director Nicky Bullard. At Lida, Winn is tasked with boosting the London agency’s digital and creative capabilities. She will work across all clients, leading the creative output on Lida’s biggest accounts, including Boots, the Royal Bank of Scotland and The Open University. Her remit also includes developing new business. Winn was previously global creative director at digital shop Precedent. Her clients there included the British Heart Foundation and the British Medical Association. Which? has appointed Sarah Threadgould, the former global head of marketing commercial bank at HSBC, as group marketing director. She previously held various senior roles with Marks & Spencer, including head of marketing programme. The National Film and Television School announces it has appointed Deborah Rowland to lead its new marketing, distribution, sales and exhibition MA, which is supported by the UK Cinema Association. Rowland has over 24 years’ experience in entertainment marketing and all aspects of film distribution. She has held senior marketing and distribution positions at Koch Media, Artificial Eye, Curzon Cinemas, Icon, Contender Entertainment (now EOne), Twentieth Century Fox, Disney, Medusa Pictures and The Pearson Group.The UK Cinema Association will award two scholarships to students on the new MA to support them through their two-year courses. Integrated agency Mercieca has appointed two new senior hires to join its client services team. Account director Fran Turner and senior account manager Clare Sutton will report to director Gemma Oakes. Turner, formerly of Live & Breathe, joins Mercieca with a wealth of drinks experience having delivered global integrated campaigns for the likes of Bacardi and Peroni. Sutton joins from food service specialists William Murray, where she worked across clients including Knorr and PG Tips.